Plastic comb and horn comb fight for anti-static reward! 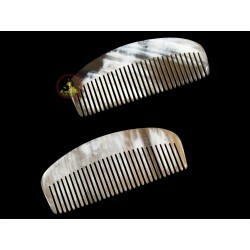 We did a small test on the plastic comb and horn comb to compare the electrostatic. 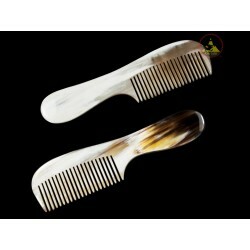 Horn comb is made by KimSonCraft.Com's artisans in Vietnam. It made of cow horns imported from Africa, the Americas and domestic. 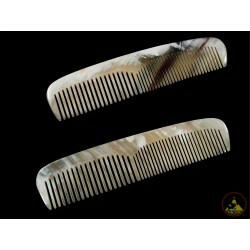 Plastic comb purchased on Ebay. Result: Plastic comb have so much electrostatic. Horn comb doesn't have any electrostatic. 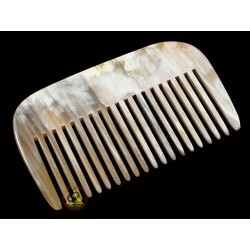 This comb is winner for anti static hair war. 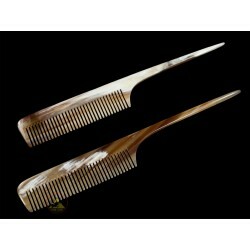 Please test your horn comb before you use it. It may be fake horn comb not genuine. Beware this important matter. We deliver worldwide from Asia to North Ameria or Europeans. You could call us to purchase order in Vietnam as free shipping. We offer 14 days returns for any order. Business over 20 years in Vietnam. 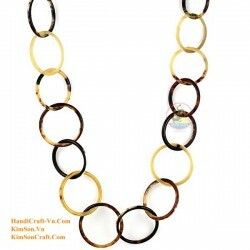 We have been specialzed in producing handicrafts since 1986 in VIETNAM. 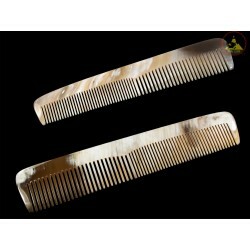 Our product are made of water buffalo horns, bones, leather, mother of pearl, abalone. Our company focuses on improving models and quanlities of our products as well as prices. It will help improve your company’s competitiveness. Now, together with the development of our infrastructures and our new technology of communicate, we look forward to working directly to you via internet or directly in Viet Nam.